1. If a supported title is detected when GC4 starts up - it now automatically creates a compatible map with the correct region name, grid settings, etc. so you can just get on with playing / drawing without any extra clicks. 2. If you start the game after GC4 you've now got a nice big friendly 'New Blank Map' button on the Start Mapping page - the old method of clicking the tiny (less friendly) button in the bottom-right is still available (muscle memory still takes me there regularly). It also hijacks the 'new square map' shortcut - CTRL+N (CMD+N on macOS). 3. Auto Mapping! well, kind of - Game Link profiles can now link to a complete pre-drawn map file which I'll provide with the program. If the profile has this map data available the extra button will appear and it'll load this map. Obviously filled with spoilers. Right now not all games support this ability, and the ones I've added I've marked as 'beta' to set reasonable expectations. Bug reports will be gratefully received! Not all games will support this feature in v4.0.2 - but I'll add more over time and make it part of the process of adding new games. I have maps for Wizardry 6 and Might and Magic 3 as a test. 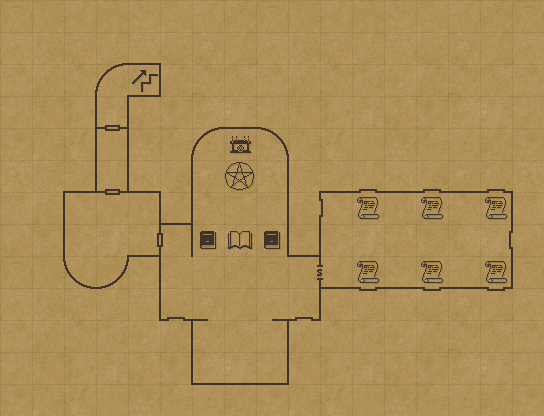 Feel free to send me maps for other games if you'd like to help ( support at removethisbit davidwaltersdevelopment dót com ). I'll edit them a little to maintain a standardised look and feel to the program - so don't worry if it's not super clean. An area I want to improve upon in the next version are features relating to tile-map creation. First up is quite a simple one - support for horizontal and vertical flipping flags for custom tiles on the marker layer. This was a pretty standard feature in the background layers of old console systems and I wanted to replicate it here in Grid Cartographer 4. I still need to update a few internal things to handle these flags (image export and various clipboard related functions) but you can see how it's working in the editor from the image above. In future I'd like to add the ability to draw multiple floors at once and include a 'priority' bit to bring specific tiles to the front - again a common feature on 80's/90's consoles. Multiple layers are something that's been requested by tabletop mappers for a while already. It's nice when features overlap like this! I've added a new Game Link profile for "Wizardry 2 : The Knight of Diamonds" - that'll be in v4.0.3 with a complete map available too. It requires the version from the Ultimate Wizardry Archives. I hope to add scenario 3 soon as well, to round out the first 'Llylgamyn' trilogy on DOS. 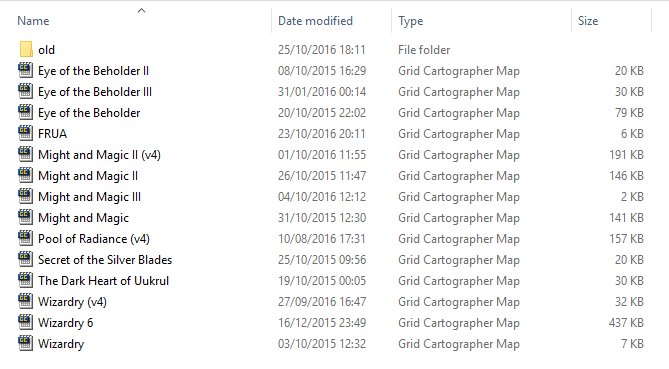 Grid Cartographer 4 is one month old today. Thanks to everyone who has supported the project ! Did some work on improving the Wand Tool - it now has its own Tool Opts panel. Also the contiguous selection mode is optional and it can ignore colours if you like. Last edited by David Walters on Nov 01, 2016 15:37, edited 2 times in total. I added a Wizardry III profile today, so the whole first trilogy will be playable in v4.0.3. I've also moved the built-in "complete maps" out of the software and onto the downloads page. The way I'd done it originally made the maps very hard to get to - you needed to be running Game Link first to see them. This way is more obvious. I also disliked it waving a 'cheat' in front of you every time you wanted to start a new map. I'm not a fan of complete maps personally, but I appreciate other people do. This way will hopefully make it easy for people who want to use them and less of a will power test for people who dont I also hope to include things like fog in a future update that will make these maps less full-on in their spoiler-ing. Added new book and scroll marker for the next update. Sorry for the longer than usual delay in posting updates. Here's an animation showing something I've been working on - clipping drawing/editing to within a limited grid area. 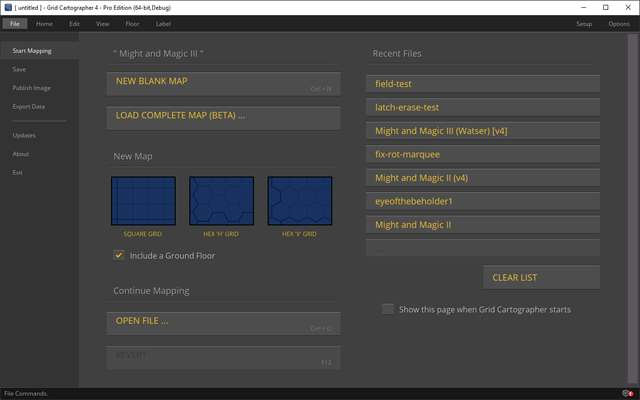 This will work on square and hex type grids as well as the new tile-map grid type.